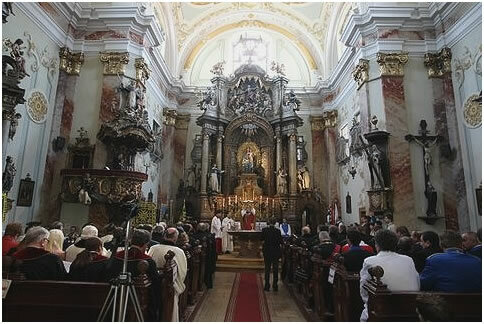 The Grand Priory of Hungary of the Hospitaller Order of Saint Lazarus of Jerusalem hosted the consecration and solemn investiture of the Grand Priory of Austria which was held on the 24th of March 2012 in Sopron, a Hungarian city bordering with Austria. 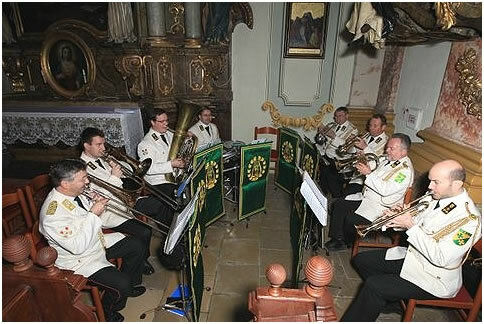 The venue chosen was a beautiful baroque Dominican church which offered the right setting for this event. The investiture also included a number of delegations from various Grand Priories of the Order and also an extensive deputation of the Union Corps San Lazare International, led by the Chairman of the Union CSLI, Senator Wolfgang Steinhardt. Most of the Union CSLI delegates were Austrian nationals who work closely with the Order’s Grand Priory of Austria. 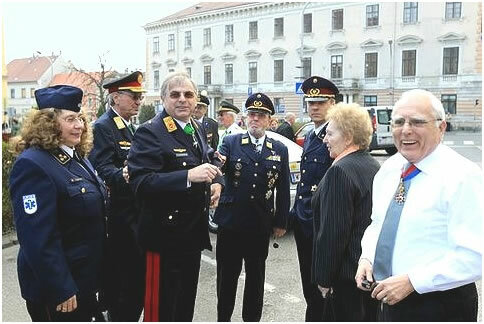 The ceremony in Sopron also included a splendid joint investiture of the Knighthood of Honour of the Union Corps San Lazare International. Apart from these delegations, a substantial amount of guest and allied chivalric organisations were also present. This factor firmly underlines the Order’s international dimension and also its awareness within the international chivalric community. During the investiture service, a number of postulants were also admitted into the Austrian Grand Priory of the Order on this solemn occasion. 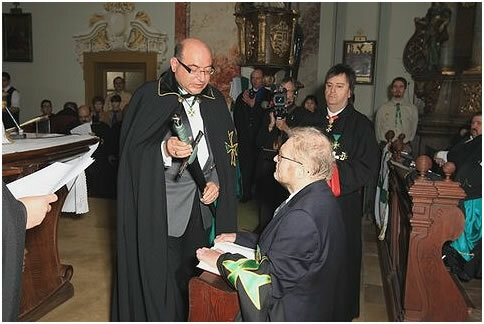 This investiture was indeed essential since it made way for the eventual installation of the new Grand Prior of Austria, Chevalier Oliver Gruber KLJ, in the ensuing April investiture. Afterwards, an investiture lunch was held were all the Order’s officers and members and their guests continued this memorable day in harmony and brotherhood.